Product #6156 | SKU GLT-255 | 0.0 (no ratings yet) Thanks for your rating! Hosa Ground Lift Adapter (Hum Stopper). 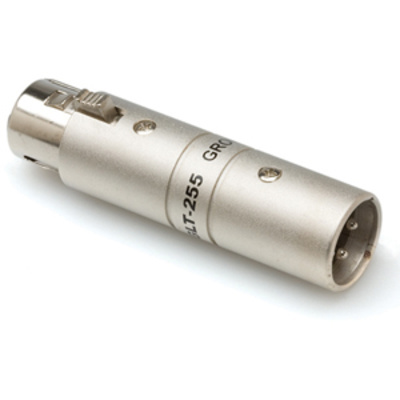 This Audio Cable Adapter converts XLR female to XLR male cables and devices and features a ground lift hum stopper.